March 1 marks the start of Women's History Month. Back in 1987, the U.S. Congress dedicated March as a time for schools, workplaces and communities to recognize and celebrate the achievements of American women. The Fort Worth Public Library will do that Monday night with a screening of the film Dolores. 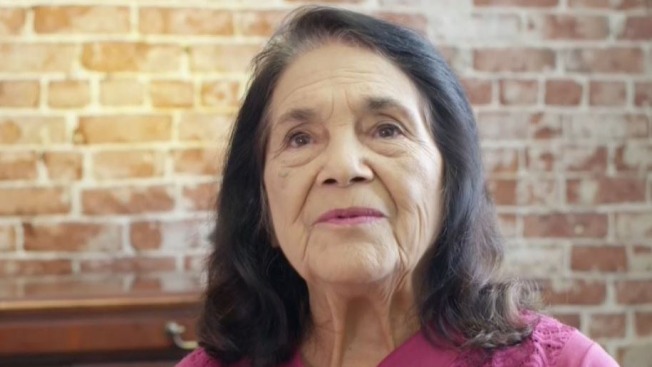 The film tells the story of Dolores Huerta, a working-class wife and mother of 11 children who became an activist. She co-founded the first farm workers union with Cesar Chavez, and at 77, continues to fight for racial and labor justice. The Fort Worth Library, in partnership with Movies That Matter and KERA, will show Dolores for free at 6:15 p.m. at the Fort Worth Botanic Garden Center, 3220 Botanic Garden Boulevard. Other events during Women's History Month include the "Nevertheless, She Persisted" empowerment panel, a girls expression night and a session on how to preserve personal stories. The J. Erik Jonsson Central Library in Dallas will also recognize Women's History Month with "Our Voices," a full day of events on Saturday, March 10. The library will collect oral histories, discuss the impact of recent women's marches, debut a photography exhibit of powerful women and host a Women of Wonder Con on the Central Libary Plaza. The goal is to attempt to set a Guinness World Record for the Largest Gathering of People Dressed as Female Super Heroes.